It's starting to look like Christmas at Casa de Meyer. 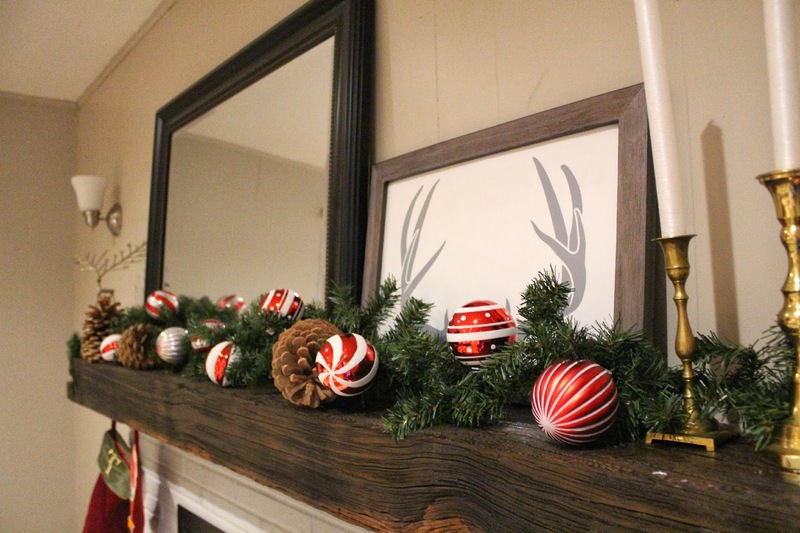 Over the weekend a little Christmas decorating took place and today I'm sharing our mantel. There's really no theme. I guess you could said I went for the eclectic vibe. The hubby said "Rustic + Red." Either way I'm happy how things turned out. 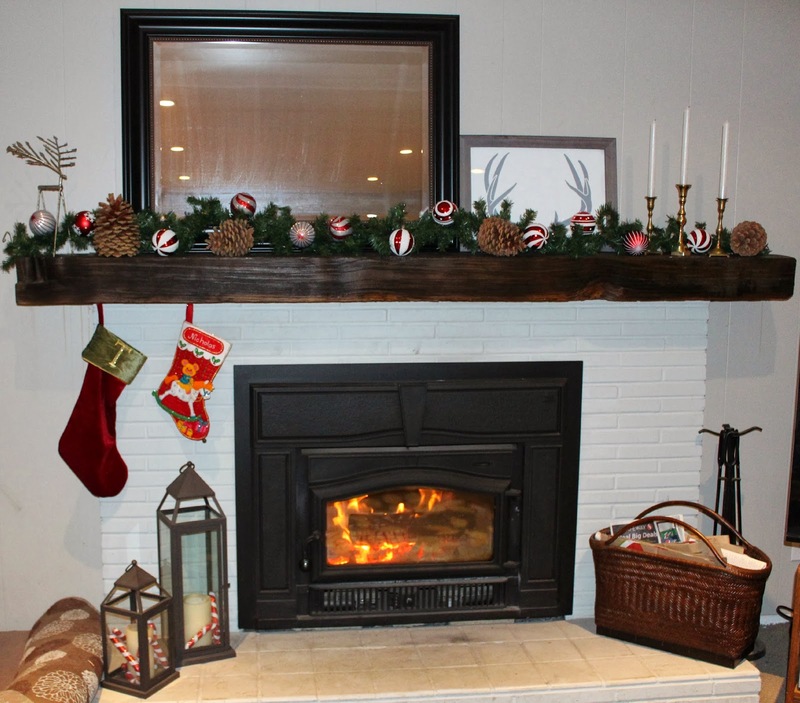 The mantel itself is a piece of reclaimed wood we rescued from our neighbors yard a few years ago. Last year we installed the wood insert and it's been a great investment. I still love the flesh mount. It just gives the fireplace a nice clean look. This year I decided to work around the mirror and antler print. 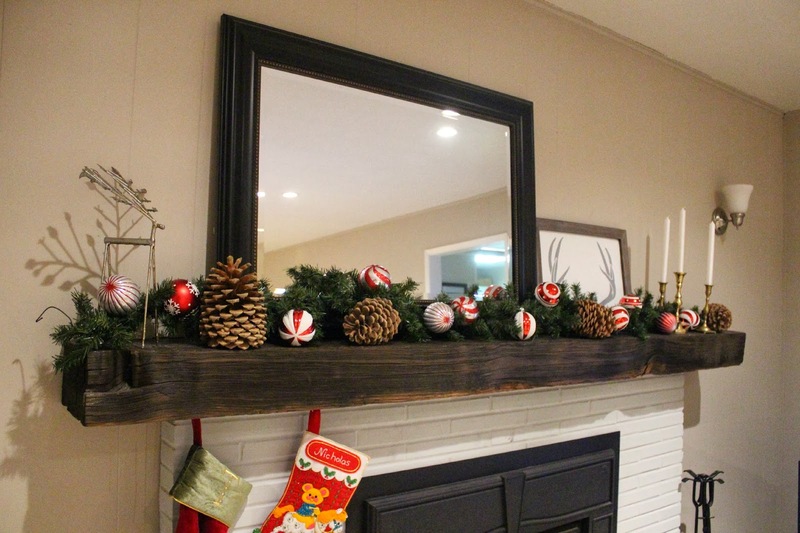 I spruced up some garland with red & white ornaments and pine cones from our yard (Mountain living perk). I pulled together the look with brass candle-holders & white candles on one end and a stick reindeer, I purchased at TJ Maxx last season, on the other end. Lastly, the stockings. 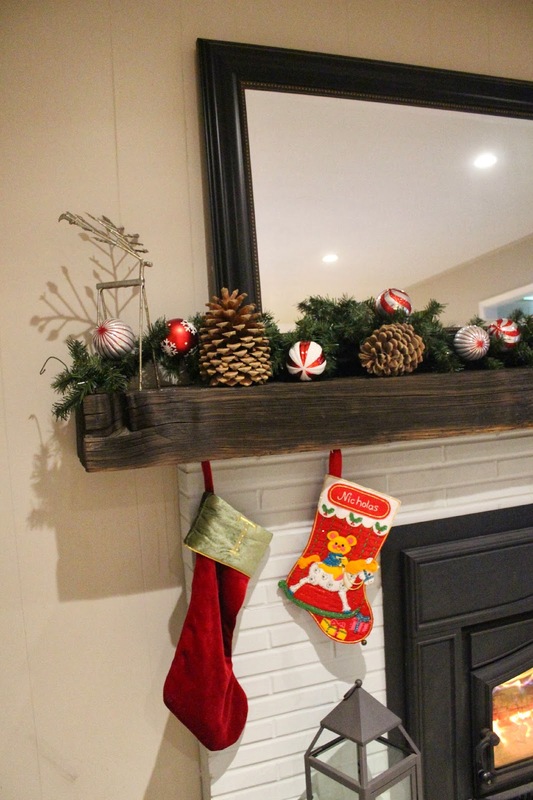 The hubby placed hooks under the mantel for our stockings. If you can't tell the hubby's stocking is from his childhood. I'm pretty sure his grandmother made it! There you have it, our 2013 mantel. It might not be super fancy, but I love it. 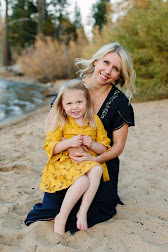 I might be late to the party, but I'm linking up with Ten June and Our Fifth House !